Stylish, family friendly restaurant, ice cream & pizza parlour... serving good quality fresh food and exquisite drinks. Lunches, evening meals, kids menu, fine wines, cocktails and gins and favourite beers ... there's something for everyone! lack of draught beers on tap. We stay just a few minutes walk away and visit nearly weekly as we really enjoy it! The service is always excellent and so is the food, we have really enjoyed some of the specials recently. Great early Saturday night dinner. It’s a good sign when a restaurant is full and there are still people trying to get tables. Food is lovely with lots of choice and staff couldn’t be nicer. Would definitely recommend. Too many cooks spoil the broth. Well this as a case of too many waitress. It seems there was no waitress assigned to a specific part of the restaurant. This resulted in being asked the same thing several times over i.e. drinks. The table was cleared of the starters before everyone on the party was finished eating. I think this resulted in the poor mains received. The pasta dishes were ok but the garlic bread side was burnt. The pizza was also burnt and I do believe they forgot to add the mozzarella, It was just chunks of sausage and sauce. The side order of onion rings were stone cold. When the table was cleared no comment or observation was made to the fact the pizza was barely touched and the onion rings were going back in the same state they were served. The noise levels in the restaurant were  not great. It was not overly busy but it could have been mistaken for being overcrowded. Perhaps it was the volume and bass of the music that resulted in people having the need to talk over the music. Safe to say for a first visit, it will also be our last. The reason for the atmosphere being marked as a 3 was due to the restaurant being on the chilly side. My son and mother had to eat with their jackets on. I also noticed the lady at the table next to us had to put her coat on. 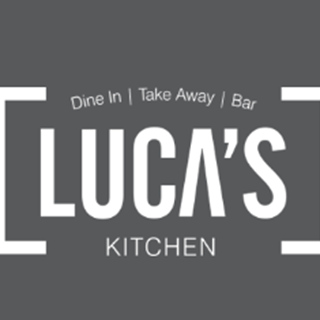 Have been to Luca’s Kitchen quite a few times now and we are never disappointed. Food fab, cater well for people with special dietary requirements and are exceptionally child friendly. 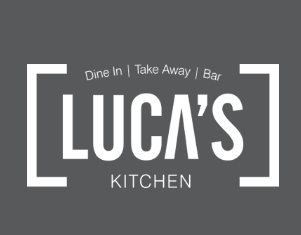 Really great first visit to Luca's Kitchen! The lunch menu is incredible value and the food is really good quality. The restaurant was quiet when we first arrived but within 30mins the restaurant was really busy. Obviously very popular and gave it a good atmosphere for a lunchtime. I also had no idea that there was a full ice cream parlour round the back of the restaurant. Looks amazing and will definatley be back! Friendly, efficient service and good food at reasonable prices. Very family friendly so maybe not perfect for a romantic dinner for two, unless you book a little later in the evening. Since it's open until 10:00pm that's easily done. This was my second visit this time for dinner with a friend. The bruschetta was divine, made, like the pizza using home made dough and fired in house. The food was very good and service was delightful. Great to be able to park at the door, so we will be back. First visit since revamp and we all loved the food and service. We will be back. Went with a girlfriend I've been here with previously, another excellent meal. Good food at a reasonable cost and good service. Best meal I’ve had in Dunfermline since I moved here last year. Service was very slow and food very bland.